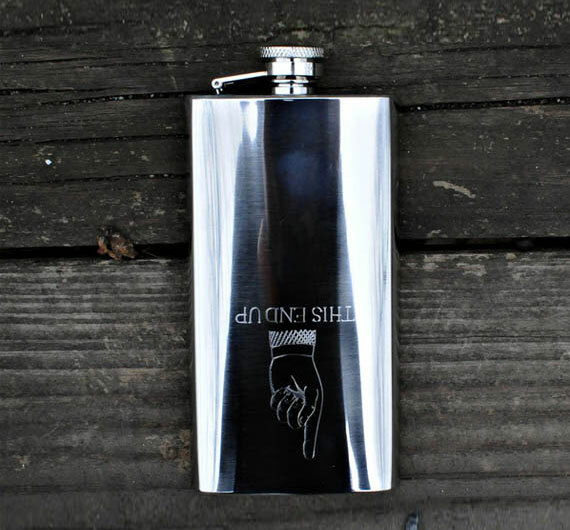 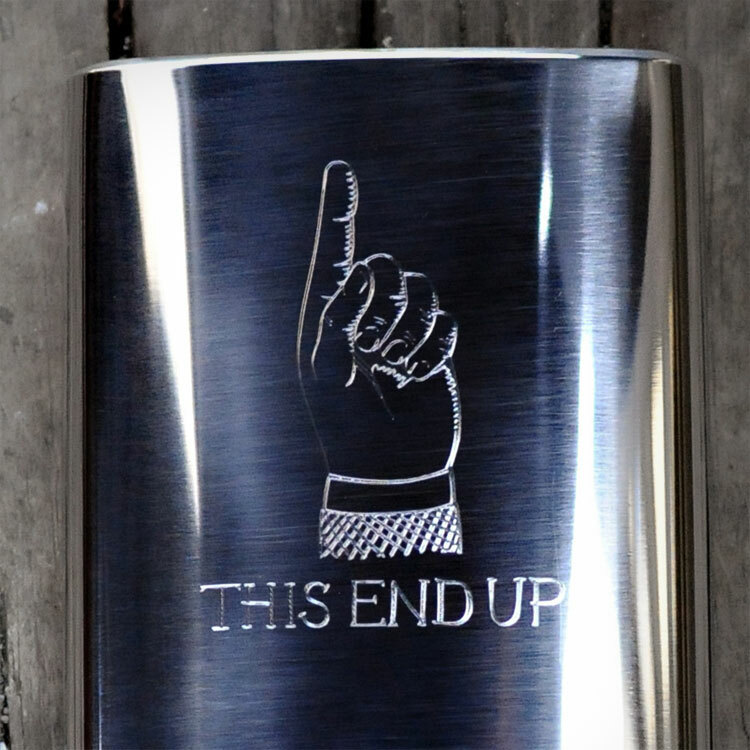 The This End Up Flask is a flask that tells you exactly how to drink it, just put the metal to your lips, twist the back of your wrist upwards and let that sweet, sweet nectar hit the tip of your tongue as you drift away into a sweet blissful numbness that you call life. 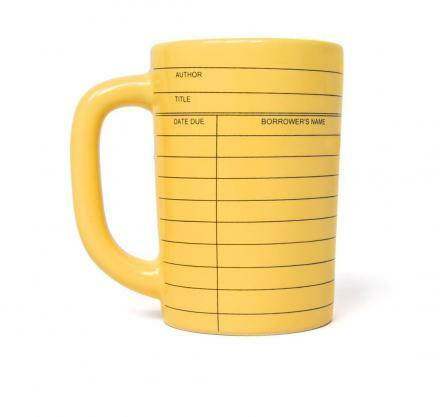 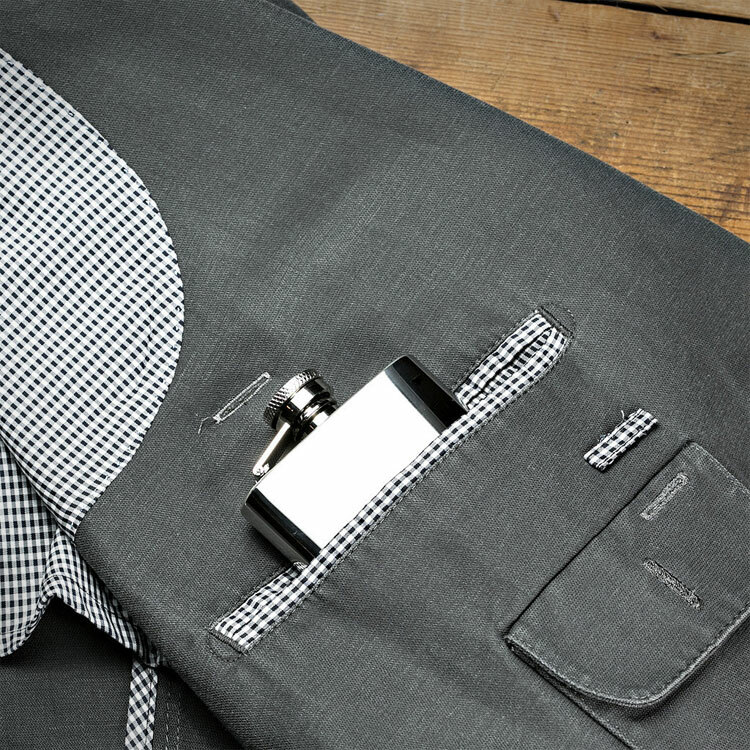 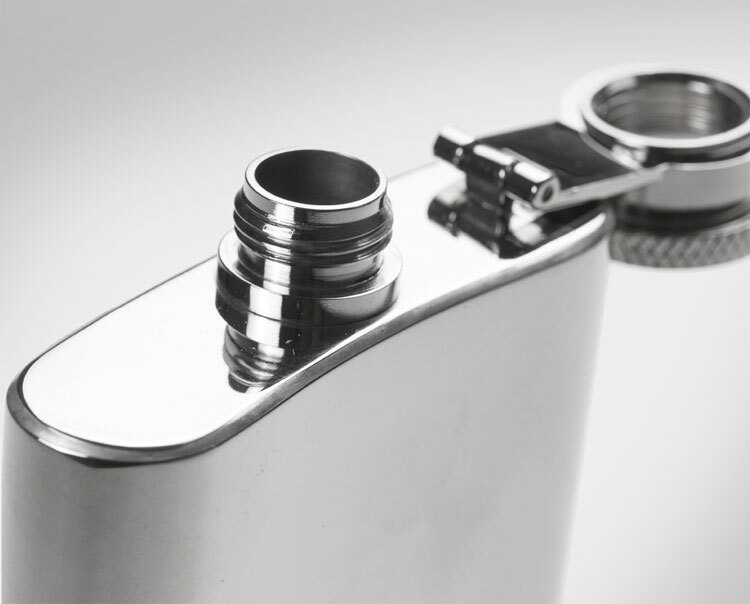 No longer will you need to wonder how to drink out of a flask; the directions are imprinted right on the front of it. 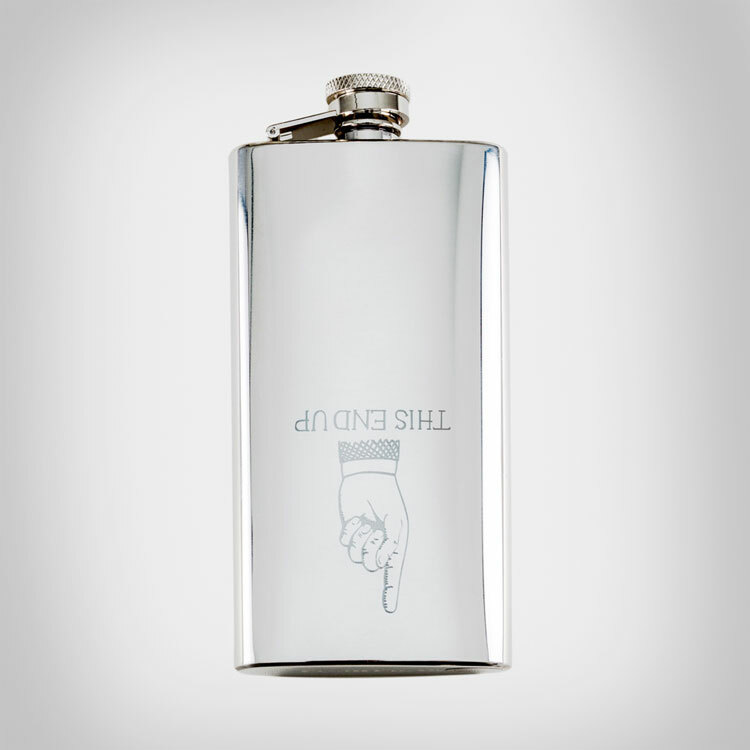 Stop keeping the flask upright expecting the booze to come flying upwards into your mouth, just follow the directions on the flask and your life will become much better than it currently is. 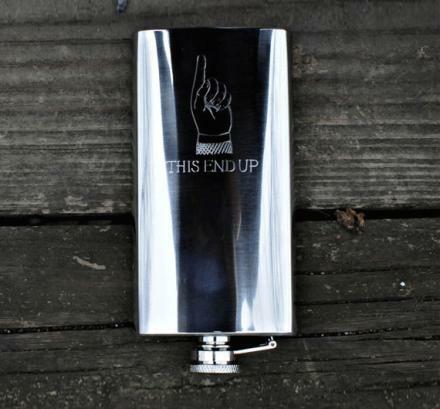 The 'This End Up Flask' is made out of stainless steel, will hold 5oz of booze, and measures 2.75 inches x 5.75 inches x 0.75 inches.